Kolkata: India may be outright favourites in the Champions Trophy semifinals against Bangladesh but the defending champions will be under more pressure, former captains Mohammad Ashraful and Habibul Bashar said on Tuesday. 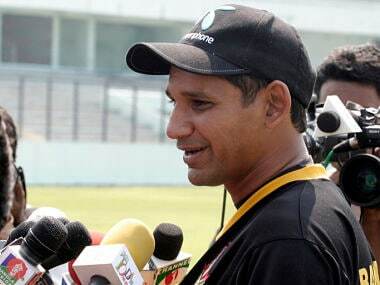 "Aar ektu upare jete chai (having come all the way, we badly don't want to miss out on a final spot now)," Bashar, who led Bangladesh to their epic 2007 World Cup win over India at Port of Spain, told PTI from Dhaka. Bangladesh beat New Zealand in Cardiff from being 33 for 4 in a sensational run chase before their progress was confirmed when fancied Australia, plagued by two rain-hit games, lost to England on 10 June. "We have previously reached Asia Cup final. But no doubt this is the biggest moment in the history of Bangladesh cricket. It's like mini World Cup. India are the defending champions it's no secret that they will be under more pressure. We have an experienced side and we need a team effort," the current selector said. The 44-year-old said their bowlers will hold the key but according him the biggest "threat" will be Indian opener Rohit Sharma whose 137 in their 2015 World Cup quarterfinal win is "still fresh" in his mind. "We not only need early breakthroughs but will have to ensure that we keep striking. I'm a big fan of Rohit Sharma and his wicket will be the key," he said referring to Sharma's century after being given not out on 90 as Rubel's delivery was called a no-ball in a dubious decision. Now-exiled Ashraful also said pressure would be on India and added only one-two percent separates both the teams. "If Sri Lanka can beat them, why not us? From 33/4 we could win against the Kiwis. 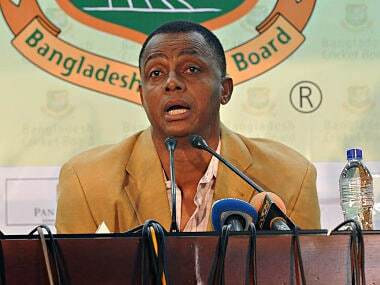 I'm sure they will give their best and the match will be a tough for both the teams," Ashraful said. He further said Bangladesh have got under India's skin a few times in the recent past but not able to clinch the issue. "It's still hard to believe the shocking one-run loss in World Twenty20 last year. We have troubled them but India have won. Hopefully, it's our day tomorrow (on Wednesday)." "For us this is our first semifinal and we are more than happy. But India have the weight of expectations from 1.3 billion people. It's for them to defend the title," Ashraful said. The former Bangladesh captain will only be eligible to play International cricket from 2018 and he remembered their famous win over Australia in Cardiff where he scored a century against the likes of veteran Glenn McGrath and Jason Gillespie in 2005. "Cardiff has been lucky to us, wish our semifinal match was there. The momentum was with us having beaten New Zealand (in the Ireland Tri-Nation series) last month." "We also posted 300-plus against England in our first match. We knew we had it in us to go all the way," Ashraful said. Man-of-the-match Shakib Al Hasan and Mahmudullah scripted centuries in their five-wicket win over New Zealand but Ashraful felt the inclusion of offspin-allrounder Masaddek Hossain was the key. Ashraful said Bangladesh should go for out and out pace attack in Rubel Hossain and Taskin Ahmed with the new ball while Mashrafe Mortaza and Mustafizur Rahman coming in as change bowlers. "If we can take three wickets inside the Powerplay, it will give us the momentum. Rubel and Taskin can bowl 140-plus and we should attack the Indian openers," Ashraful said. Ashraful further hoped they had someone like Hardik Pandya. "A pace bowling allrounder is something we are missing at the moment. To top it, Pandya's ability as a finisher will put them ahead," he concluded.